When I started this blog last year I had no idea there was this HUGE book blogging community. I basically posted whatever I liked, reviewed books whenever I liked, and I didn't care how my layout looked (it was hideous). Heck I didn't even know what GFC was! But then I discovered the big world of book blogging and I got sucked in. The first few months were fine. I was getting blog followers and quite a number of pageviews. It got me excited. I decided I wanted to be a blogger-blogger. Not just a blogger-whenever-I-feel-like-it-blogger. I was able to post almost everyday, sometimes I'd post more than one entry in a day. Things were great. But then senior year rolled in and things got pretty messy. You see, I've never really been the type of student who'll diligently read her notes every night after a day of learning. I'm not the type who'll do advance reading so I'll come to class in Hermione mode (I find that advance reading rarely works in college because professors don't always follow their own timetable. It helps, but come on). I'm the type of student who'll cram even if we were given ample time to prepare. 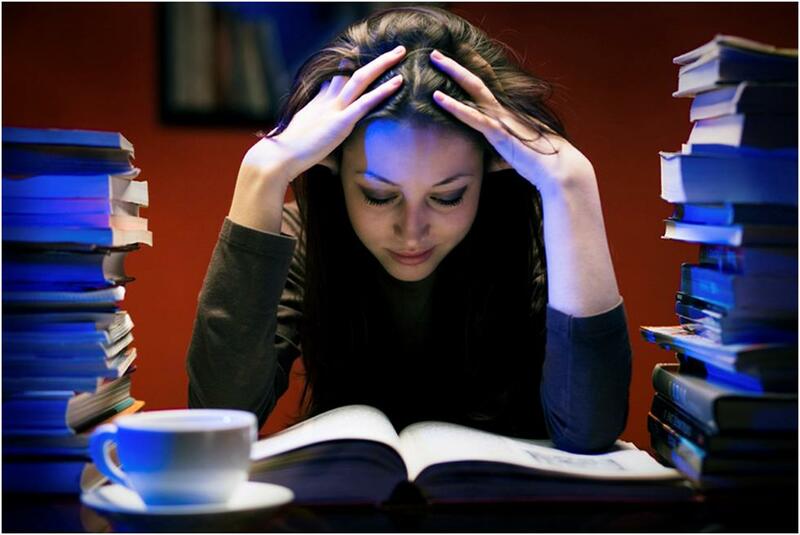 Don't get me wrong, I get good grades but my studying habit's... hah! I don't have one. I had a system that, up until this semester, was working. I wish I look that nice when I'm stressed. This semester I had to clean up my act a bit. That meant devoting a lot more of my time for my schoolwork and extra-curricular activities (I have a lot). Even if my schedule's wide open (I only go to school three times a week. Wuhoo 12 units), somehow I still don't have a lot of time to accomplish everything. I feel like I'm doing a whole lot of stuff (blogging included) and yet I don't accomplish a lot at the end of the day. Now this blog isn't about me and my lack of focus. This is about life getting in the way of blogging. I used to think that I'd only do this as a hobby but now I feel like I can't go a day without doing any sort of blog work and it's getting pretty hard to maintain that. Aside from the books I have to read, there are reviews that have to be written...and I have about 14 drafts right now (it's a scary number). I know exactly how I feel about the books but somehow I'm having trouble putting them into words. So I end up procrastinating. Even topic posts like this have been drafted for so long now but I have yet to post them. My blog's not in any way inactive because you can see that I update it regularly but I feel like the quality's declining. I'm missing interviews, random blog posts, anything that's not a promo post or a review. For so long now, I could multi-task and still keep up. But recently, I couldn't anymore. There's school (thankfully I'm nowhere near failing so, yay), home life and this. I try to do as much as I could in a day but I am just soooo exhausted, man. Sometimes just seeing the list of things to do is tiring. So what am I getting at? I honestly don't know anymore. (See? Lack of focus) KIDDING. All I'm trying to say is this: Blogging, in general, is hard. A lot of bloggers aren't doing this full-time, myself included. But we try to make the most of what little time we could fit blogging into. (Trying to make time for reading is a whole different story, believe me.) People start their own blogs for different reasons but I think the commonality is we want to be heard. I mean you wouldn't make your blog public if you didn't want anyone seeing it, right? (Unless you're like Jenna from Awkward thinking no one will find her page) Just the idea of people checking out my posts or returning to see what's new keeps me going. 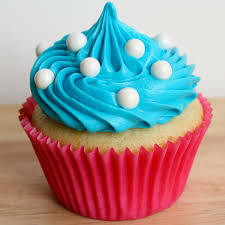 If you read all this... here have a cupcake. I feel the same way. School stuff has been sucking my life this semester and although sometimes I have me-times, I still can't find time to blog. I hate it whenever I feel that blogging feels more like work than something I enjoy doing. Yum, I will take that cupcake... Can I have another one? ;) And you know what they say, confession is good for the soul. Hope you keep a good balance of everything, it can be so hard. I also didn't know there was a huge book blogging community when I began blogging back in 2011. Unfortunately, unlike you, My blogging skills aren't very good. In other words, I don't update my blog regularly nor do I interact with other bloggers. Because of this, over the years the number of my followers and so on, have always been on the low side. ^^; I do enjoy blogging a lot! So, I'm trying to branch out and update more often. I've even restarted by deleting my previous entries. Anyways, I don't always comment on your blog, but I do read and am a fan! ^_^ Please continue blogging! I started bloging because I was bored, but it almost feels like a job! As someone who has a semi-active blog. I feel and know how hard it is to blog. :) It sounds like you are really having a hard time adjusting with school, life and blogging. Think of it more as practice when you start working. :) I have to disagree that the quality of your posts have gotten lower. The only thing that's changed is the time between blog posts. You can still update once a week(unlike some people :P) so it isn't that bad. Just remember that your readers(us) will still be here when you do get the time to posts. Don't get discourage ^_^ You have a very active and loyal readership. Hope you get the time your looking and don't forget to enjoy blogging. Blogging can be really tough sometimes and I don't post as much as want to. When I started my blog I posted quite often and then I started high school and it has completely sucked up my time for the last two years. I also told myself that I need to stop requesting books which is easier said than done. I do love blogging though and it helps as a way to just vent and express myself. Anyway, I hope all is well for you! Oh, yeah, blogging IS hard. I was just posting about a blogging slump on my blog this week. Ack...it's a lot of work and dedication. And it DOES mean a lot when people comment and say hi and make things fun. ^.^ Keep up the awesome blogging! I know I'm kinda new around here, but I think you run an epic book blog. I think all bloggers can relate to this. Finding time to read is hard enough already and then trying to find time to blog? And promote and interact with people? It can be as tiring as a real job. But it's fun so we do it! And we love books!